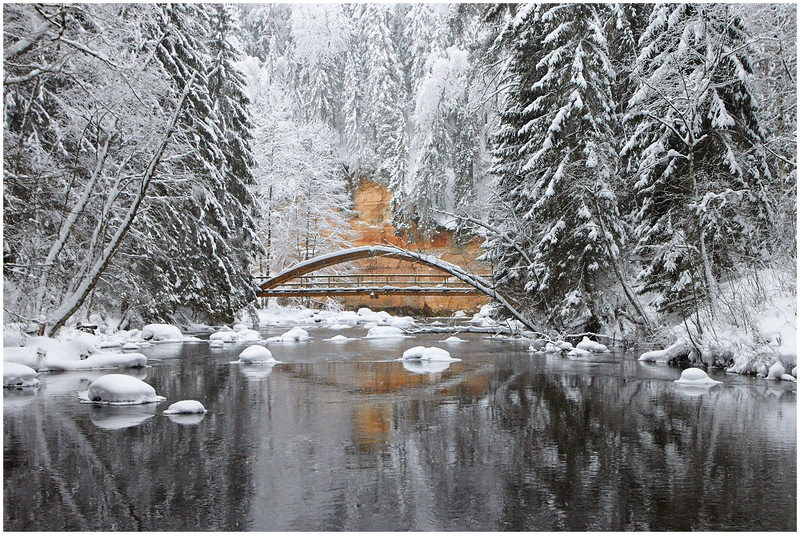 Vaido (Võrumaa, Estonia) on 4 February 2016 in Landscape & Rural and Portfolio. An arc bridge for pedestrians over the Ahja River in Taevaskoda, Estonia. Kaarsild üle Ahja jõe Taevaskojas. This is a stunning 5-star image - perfect chilling presentation ! @Robert D. Burr: Thank you for the kind comment, Robert! A fabulous image in all respects! This is the best of the yet, captured in glorious Winter guise! That touch of colour on the rocks really draws the eye in and gives a great focal point. Félicitations pour ce beau cliché. . . and into the Spotlight, too - well done ! Wonderful and magic ! Congratulations on the Spotlight ! Winter fairy tale :) Congratulations! That's amazing picture. Amazing shot, splendid place, congrats !!! Congratulations on your spotlight ! Bravo!!! Wonderful... Congratulations on the Spotlight. Congrats for this Spotlight; the color point in the back is superb. Beautiful shot ! Congrats ! The touch of colour is like a dramatic beam in this scenic icy world. Simply stunning. Splendide ! félicitations pour ce Spotlight ! Striking. The bit of color in this monochromatic scene really pops. brilliant image, and a 'natural' spotlight! Brilliant photo! Love the beautiful snowy scene that really pulls your eye into the center. Congratulations!